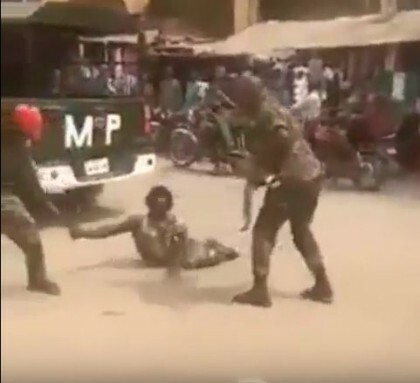 SK Usman, Abuja: Sequel to the video clip of two soldiers maltreating a physically challenged man on the streets of Onitsha, Anambra State, last Tuesday, in line with our zero tolerance of infringement of human rights by troops, those involved! Corporal Bature Samuel and Corporal Abdulazeez Usman of 82 Provost Company, have been arrested, summarily tried based on 2 count charges and found guilty. Consequently, both have been sentenced to reduction in rank; from Corporal to Private Soldiers and 21 days Imprisonment with Hard Labour (IHL) respectively, which includes forfeiture of 21 days pay to the Federal Government of Nigeria. The Nigerian Army has also reached out to the victim of their unjustifiable assault, Mr. Chijoke Uraku (alias CJ), as widely reported by the media. We wish to reiterate our avowed determination to ensure that troops conduct themselves in the most orderly and professional manner at all times. Any act of indiscipline would not be tolerated.